It’s getting to the holidays and we start thinking about traditions and times past. I just love places that seem to take me back in time. Places that when I walk the streets and go into the homes I almost feel part of another era…except then my cell phone goes off and ruins the whole thing. Plymouth, Massachusetts. 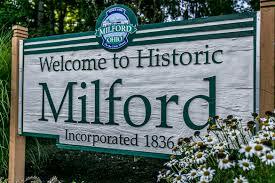 This is America's Hometown, the oldest community in New England and, of course, the site of the first Thanksgiving. 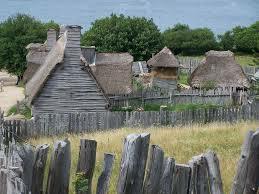 There is a replica of what the pilgrim settlement looked like in 1627, right down to characters walking around speaking in the appropriate dialect. 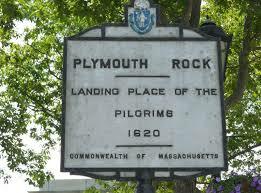 And no visit is complete without Plymouth Rock. have centuries-old ironwork and courtyards and we can’t forget the yummy French treats to try along the way. I hear Gettysburg, Pennsylvania is absolutely spiritual and you can actually feel the soldiers there and almost see President Abraham Lincoln giving his address. Downtown Savannah, Georgia has a National Historic Landmark District and is a prime example of old-time Southern architecture. Stroll the cobblestone streets and see the intricate ironwork of mansions restored to the original pink, green, red, and blue of the 18th century. My daughter up in New York just visited. 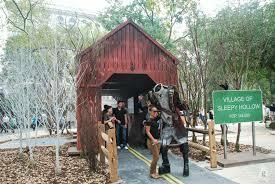 Sleepy Hollow, New York. It’s the site of the 1790s tale "The Legend of Sleepy Hollow" by Washington Irving and dates back to the arrival of Europeans in the 1600s. Milford. 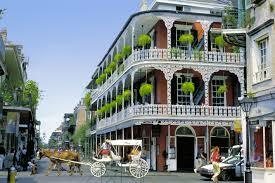 Many of the shops and buildings are from the 1800s and before. We have our own Mystery Library in a building that was actually part of the mill in the ford of the stream. So neat. So what about you? Is there a fav place you’ve visited and felt like you were back in time? 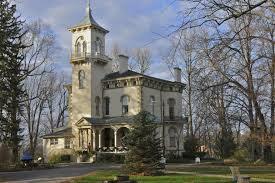 Or maybe there is part of your town that is old and historic that you love to pieces?